Over the summer of my freshman year, which consisted of using a large portion of my small paychecks on vinyl, I stumbled upon a Roberta Flack and Donny Hathaway record at a good old fashioned Maple Grove garage sale. 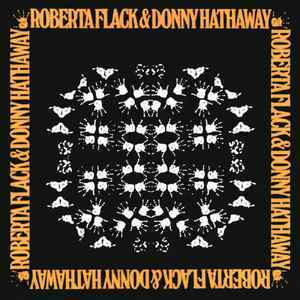 Aptly named “Roberta Flack and Donny Hathaway” the 1972 album pins together two young R&B artists from Howard University and consists of an intimate and diverse collection of covered and original songs. While at the time of my purchase I didn’t think much of the record (besides the fact that I knew Hathaway’s famous cover of John Lennon’s “Jealous Guy” and a limited knowledge of Flack’s discography), I quickly fell in love with the ten sweet and sombre duets. From the perspective of race, identity, and representation of “American music,” this album is a great representation of the assorted genres and influences that existed in the ever increasingly rich world of R&B, soul, and gospel in the ’70s. With a brief glance at the repertoire of covers, this notion immediately becomes apparent. Track two, the initial recording by the pair, is a gospel tinged, lightly orchestrated cover of Carole King’s “You’ve Got A Friend.” Released around the same time as James Taylor’s sparse, singer songwriter version of the same piece, the song captures the initial spirit of the bohemian middle class that King set up, but extends it to the inner city, lower class communities, by use of the passionate call and response between chemically driven Hathaway and Flack, the driving wurlitzer electric piano base, and the tambourine infused percussion section. Similarly, “You’ve Lost that Lovin’ Feelin’,” a Righteous Brothers cover, replaces the standard Spector “wall of sound” orchestration with wild harmonica lines, funk bass, and ever-increasingly mellifluous harmonies, and adds an extra layer of genre bending licks and sections. With a moody ostinato bass-line that melds into an exotic verse fully equipped with a traditional Indian sitar and an undeniable trope of Bach’s Toccato and Fugue in D Minor played on harmonica (around 5:40 in the track for all you musical nerds out there), this tune blends a fair amount of culture-crossing musical practices and influences. Having only given two of the ten tracks a brief genre-based analysis, this blog post can’t conceivably capture the scope and range of this record. Whether it’s “Be Real Black for Me,” a song that served as an anthem for the 1960’s “black is beautiful movement,” “Come Ye Disconsolate”, a traditional sacred song-turned-gospel arrangement of a well known Thomas Moore hymn, or “Mood,” a breathtaking seven minute classically infused piano duet, Hathaway and Flack’s album of undeniable chemistry demonstrates the far-reaching influence and diversity found in R&B music of the 1970’s. Flack, Roberta, Donny Hathaway, Eric Gale, and Billy Cobham, writers. Roberta Flack & Donny Hathaway. Recorded May 6, 1972. East West Records, Vinyl recording. Koollatter. “Roberta Flack & Donny Hathaway – You’ve Got A Friend.” YouTube. February 01, 2014. Accessed October 30, 2017. https://www.youtube.com/watch?v=7cOqfGPYc-E.
“Music – Review of Roberta Flack & Donny Hathaway – Roberta Flack & Donny Hathaway.” BBC. Accessed October 28, 2017. http://www.bbc.co.uk/music/reviews/q6cg/. This entry was posted in Nick Love by Nicholas Love. Bookmark the permalink. One word of caution: you say that Flack and Hathaway extend Carole King’s middle class anthem to inner city, lower-class communities, but I don’t see or hear anything in Flack and Hathaway’s version that changes the middle-classness of Carole King’s original. I’d be interested to hear more about what you meant by that remark.